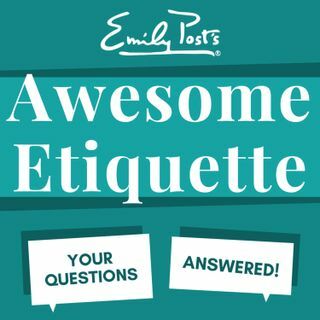 We take your questions on awkward introductions, the problem with no problem, grandma was upset we opened our wedding gifts early, and how to thank a group at work. Plus your feedback, etiquette salute and postscript where we explore the mix and mingle. Sustaining members, your question is about dietary restrictions at large events.